You might think that there’s not much to lawn mowing other than being able to turn on and push a mower around until, eventually, by this miracle of modern technology, the grass is cut short! However, if you’re after a healthy lawn and not just a cut one, then following a few simple tips and applying some professional techniques can make a huge difference in the appearance of your lawn, as well as making the ongoing maintenance of your lawn a lot easier. A well-cared-for lawn that is cut properly and is well maintained will be healthy enough to withstand the Aussie heat and dryness better than poorly kept lawns. When you look after grass properly, it will be far less susceptible to weeds and bug problems too. Correct mowing techniques are essential to encouraging the growth of great looking grass. To start off with, your mower’s cutting blades need to be sharp. Sharp blades are a must for any tool that you use for any cutting that you do in your garden – whether it’s hedging, pruning or sawing – and mowing is no exception. It’s important to have sharp mowing blades so that as they pass over the grass blades, the grass is sliced. Dull blades tear the grass. Torn grass not only looks frayed and messy, but the tearing also results in bruised and browned edges. The ragged edges of torn grass tips encourage increased water loss and increased susceptibility to disease to the whole lawn. Your mower might not get as much of a workout in the cooler months, but as soon as spring comes around and the grass starts to grow, it’s important that your mower is up to the job. Around mid-August is a good time to do a routine check of your lawn mower and sharpen the blades if they are looking and feeling blunt. With sharpened blades, your lawn mower will work a lot better and you’ll have a better looking, healthier lawn. Of course, sharpening your lawn mower blades is an art and skill in itself. Grass isn’t just grass. There are over 11,000 species and over 60,000 varieties world-wide. Australia plays home to over 1,300 native and naturalised species of grass, with thousands of sub-types. Every type of grass is different and has different mowing requirements, so check what type of turf you have to determine the recommended height to cut the grass to encourage optimal growth, health and performance. Remember also that you might have more than one type of grass on your property and that means that you’ll have to adjust the mowing height accordingly for each type. Sound complicated? Well, let’s make things a little easier. The general rule of thumb is to remove no more than one third of the leaf blade per cutting. Even if your lawn is long and overgrown, this rule still applies. With overgrown grass, the aim is to gradually reduce the height of the lawn over a number of mows until it reaches the desired length. This is to avoid ‘shocking’ or ‘stressing’ the grass. Cutting too much at once has a tendency to damage the turf because it needs time to adjust to a new level. After all, grass is a living thing and it needs time to adapt. For protection against the weather, it is always recommended to leave the grass a bit longer in cooler months, in shaded areas, and particularly in the peak of summer. Keeping the grass relatively long increases its tolerance to heat and drought. It reduces evaporation and cools and shades the soil so weed seedlings don’t germinate. People often think that they should cut the grass as short as possible so that they can wait longer for the next mow. At first appearance this might seem like a good idea and it is understandable to feel this way if you find lawn mowing an unpleasant chore that you would like to avoid for as long as possible. Cutting too much grass off all at once is called ‘scalping’ and, as the word implies, it involves mowing too low and exposing the scalp (in the case of grass, that is the lower section of the length of blade that is closest to the root system). 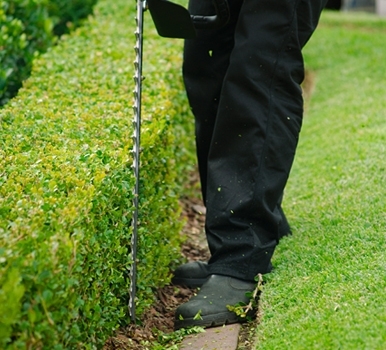 Scalping can wreak havoc on your lawn. Remember that the grass blade is the food production unit and the insulation for the grass all at the same time. Over-cutting increases water loss through the cut leaf and reduces carbohydrate food production and storage. Essentially, over-cut grass is starving grass. It’s also exposed grass, leaving the grass plant as a whole susceptible to heat, cold and drought. Over-cutting also promotes poor heath, bare patches and browning, and is an open invitation for weeds and disease to infiltrate your lawn. Over-cutting puts your lawn under extreme stress and causes ongoing problems, which you then have to spend time and money to fix. Therefore, unfortunately, over-cutting the grass is actually the harder option, requiring more effort from you than what you ‘saved’ by mowing less frequently. Save yourself the pain! Avoid scalping or cutting grass too short. Always check your blades. And remember to adjust and raise the mower blade height to compensate for uneven or low areas on your lawn. This tip is pretty simple. If you are after thick and lush grass, then you have to mow regularly. That’s just the way it is when working with nature and the reality of how grass responds to proper treatment. All grasses have a recommended height for optimal performance. So, naturally, you can determine when your grass needs to be cut if the grass blades are longer than the recommended height for your lawn type. The lawn will need less frequent mowing in cooler months when the grass is relatively dormant, and more regular mowing in the warmer months when it is actively growing. This is another response from nature. Mowing regularly also has the added benefit of reducing weeds by cutting them down before they are able to grow more seed heads or reproduce. If it has been raining and your lawn needs cutting, it is fine to mow, provided you ensure that your mower blades are sharp so that no damage to the grass will occur. Be aware that with wet grass you will not get as good a cut or do as neat a job as when you mow in drier conditions. Wet grass clippings are also bulkier and messier, so be prepared to deal with a much bigger clean up of both you and your mower! If you can, wait for drier conditions to mow (but not too dry). The best time is a couple of days after rain. At first, ‘untrained’ grass blades tend to grow in different directions, so don’t stick to mowing in the same direction every single time. You need to break up your cutting pattern. Mow from left to right, up to down, anti-clockwise and clockwise, depending on the lay of the land. Breaking up your mowing patter will also prevent the soil being compacted in the same areas. Compacted soil causes ruts and uneven ground, and will stop the grass leaning and growing in one particular direction, which is a preferable growth pattern for both you and the grass. Always ensure that no matter which direction you are mowing, you overlap each pass by at least a couple of inches. This will ensure that the mowing coverage is even and that there are no areas with missed strips. 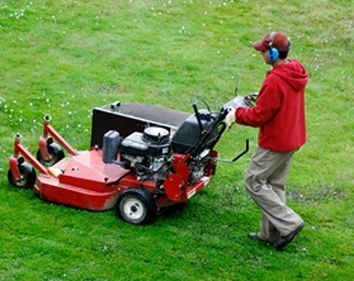 People often use grass catchers because they want the lawn to look neat after mowing. But you need to consider other factors. If you have an unhealthy lawn, then leaving the grass clippings on the lawn to decompose naturally can be a great source of organic matter and recycled nutrients and can aid grass growth by improving the soil structure. But if your lawn is already healthy, then constantly mulching the lawn should be considered carefully. In humid conditions, mulch can get mouldy, encouraging disease by depriving the lawn of nitrogen. The classic sign of low nitrogen is yellowing of the leaf blades. If this occurs, you might have to add a nitrogen fertiliser to get your grass looking green again. So, there you have it! Consider using these basic techniques and tips so you too can cut your grass and get results like a lawn mowing professional! And, of course, if you don’t like mowing, or you don’t have the time, or you don’t know what might be wrong with your lawn or what you need to do – then the simplest solution is to let Fox Mowing look after your lawn for you. And while we’re there in your garden, we can do a lot of other stuff too to get your garden looking and feeling its best. We’re famous when it comes to lawn care and mowing, and we’re renowned for our top quality approach, no matter how big or small your lawn is. 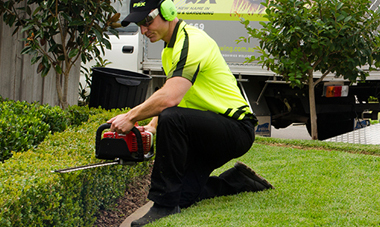 Contact Fox Lawn Care Services today to get professional lawn care without getting hot, working hard or wasting your precious time. Growing a healthy lawn can be thirsty work. There’s not a plant alive that doesn’t need water and your lawn is no exception! Water is a vital element in any lawn care and maintenance program but grass needs to be watered properly. This is especially true when you’re establishing a lawn or treating one that’s looking a little stressed or tired. But the more established and healthy the grass, the less time you will need to spend watering it. Just because we have to drink regularly doesn’t mean our lawns have to too! Your lawn only needs to be watered when it needs it, not when you feel like doing it. Obvious? Maybe. But you’d be surprised how often people let their lawns get to this stage. However, you don’t need to let your grass get as dehydrated as this. Just walk over your lawn. Well hydrated grass springs back after you walk on it. Grass that needs watering just stays limp, flat and doesn’t spring back. Once you’ve noticed that the grass needs a drink that doesn’t mean that you have to immediately rush to the hose. Some times of the day are better than others to water. The best time to water your lawn is in the early morning, before the day starts to heat up and the water is lost to evaporation, wind and the hot sun. If the morning is inconvenient, or if you’re not a morning person, the late afternoon or early evening is your next best time. The type of grass that you have also determines the best time of the day to water. If you live in a cool climate or you’re in a season where cool season grasses dominate, then it’s best to avoid watering cool season grasses in the evening. Late-in-the-day watering in a cool season can lead to the ground remaining wet for an extended period of time. This can encourage the growth of fungal diseases. And if you’re applying fertiliser to your lawns, remember to always water afterwards to prevent the chance of chemically burning the grass blades. Grass likes it’s food watery. Depending on your type of soil and climate, grass will require different amounts of watering. As a general rule sandy soils require 20-30mm of water, while loams and clay soils will require 40-70mm of water. Ultimately you want the water to seep deep into the top 300mm of soil so that it reaches the main root zone. OK, so how do you measure your water? For sprinklers and pop up irrigation systems place empty containers evenly around the grass and turn the water on for 30 minutes. Measure the amount of water in each container and double the total to get the hourly rate. It is a good idea to average all the containers out as some will contain more water than others depending where they are situated near the sprinkler. This measurement will help determine how much time is required to provide the right amount of water for your lawn. You have spaced five containers around your lawn and watered the lawn in your usual way for half an hour. The container water measures at 20, 15, 30, 10 and 25 mm in height. So the average for the five containers for half an hour is 20mm and for 1 hour it would be 40mm. So if you’re dealing with sandy soil you’d be watering at that rate for 45 minutes. For a loam or clay soil you might want to water for about an hour to an hour-and-a-half. If you don’t have time to do a flow test then here’s a quick test – The Screwdriver Test. Stick a long screwdriver into the ground. If the soil is properly moist, you should be able to push the screwdriver all the way in without too much effort and certainly without spraining your wrist and dislocating your shoulder. If you can’t push the screwdriver in with relative ease, then this means that the soil is too compacted and you need more water to loosen things up a bit. But the real key to watering lawns is to water less often but when you do then make it a deep watering, soaking the grass, and the soil underneath, thoroughly. Grass is a living thing. It adapts to the conditions that it finds itself in, or rather, the conditions that you create. Shallow, frequent watering tells the grass, “There’s plenty of rain here all the time. You don’t have to work too hard for your water.” So the grass responds by creating a wide but shallow and not particularly robust root system. Deep infrequent watering tells the grass a different story. “The rain is unpredictable, but when it comes it pours for a while and will really soak the earth. The soil that will hold the water like a reservoir sponge for a long while until the next rain comes.” So the grass adapts by creating a deep, far-reaching and strong root system that can extract water from a larger volume of soil. This makes the grass much better able to deal with the dry periods that most of our small continent is used to (unless you live in, say, Tully, Queensland, in which case you’re unlikely ever to need to water your grass at all). Having said all that there’s no point in overwatering either. You can tell when you’re over-watering because at some point the soil will become saturated. Water will begin to obviously pool and run off. At that point you can stop and allow the soil to deal with the water that you’ve given it. Then wait a day, check the conditions again, and give the grass a repeat watering only if it needs it. How you water is as important as when you water and how much you water. The watering strategy that you choose and use will depend upon how much control you want over the process and the amount of time and money you want to invest into it. If you have the time and inclination you can always use the conventional method of getting out your hose and spending an hour or so (depending on the size of your lawn) watering your grass. Lots of people actually enjoy watering; it’s a very peaceful, meditative way to spend time. However, if you’re not the type who likes to stand around and literally watch the grass grow you can always invest in an irrigation system or use a water sprinkler. Installed irrigation systems, such as a drip-feed or pop-up, involve plastic pipes being laid under the turf. At the very least this will require you to partially rip-up any established lawn. You’ll then have to re-lay and re-establish the lawn once the irrigation is in place. Installed systems require considerable planning, so much so that we have dedicated a whole separate article about designing irrigation systems. Drip systems are very water efficient! They work underground releasing water slowly into the soil. This means minimal water is lost to evaporation. However as with all pre-installed irrigation systems you won’t be able to aerate your lawn in a conventional manner due to the chance of damaging the pipes. Drip systems also mean that from time to time you will still need to apply water to the top of the grass when fertilising, establishing or correcting new turf. If you have a smaller lawn then the best and cheapest option for long-term use is an above- ground sprinkler system that is attached to a garden hose with a timer. You move the above ground sprinkler system to different parts of your lawn as needed. You can set these systems to deliver a specific amount of water in a given period of time. The culprit might be high levels of acidity or salt in your water supply. If this is the case you can apply additives such as gypsum or lime to improve structure and drainage of acidic soils. You can also replace your lawn with a salt tolerant turf such as Paspalum or Sir Walter Buffalo. Salt-tolerant grasses can grow and withstand salty water and soil better and replanting might be an easier option than attempting to “correct” the soil. Knowing when and how much to water along with proper ongoing lawn care and mowing maintenance can help keep your lawn looking lush, thick and healthy all year round – increasing the beauty of your garden, your quality of life and the value of your property, all at the same time. And, of course, if you don’t like watering, or if you don’t have the time, or if you don’t know what might be wrong with your lawn or what to do, then the simplest solution is to let Fox Mowing look after your lawn for you. And while we’re there in your garden, we can do a lot of other stuff too to get your garden looking, and feeling, its best. In Australia, drought protecting your lawns for inevitable dry spells can save you a whole lot of money, time and heartache later. During extreme heat and temperatures grass can go into a dormant state where it will brown and dry off. This does not mean that they are necessarily dead, they are just protecting themselves and conserving water and will generally rebound when the temperatures drop and there is more adequate rainfall and optimal growing conditions. However ongoing heat and lack of moisture can cause permanent damage to your lawn if it is not supplemented by watering. Water your lawn with a deep soaking instead of frequent sprinklings. Water early morning before the heat sets in and the water is lost to evaporation. Add shade to your yard to protect the soil and lawn. Planting tall plants, shrubs, trees & having shade sails will help to protect and keep the soil & lawn cooler and preserve water. Keep the lawn healthy all year round through regular fertilising. This will promote deep root systems and will provide a well balanced soil that will be a source of energy to the lawn through periods of drought. Leave the grass to grow longer during a drought by lifting the mower cutting height. This will offer more shade for the soil and will help to encourage deep growing root systems where they can find moisture from deep within the soil. Once you mow leave the grass clippings on the lawn. This will help shade your lawn and maintain moisture levels. Choose a turf that is more drought resistant such as Buffalo or Zoysia as they are better designed to cope and survive during drought conditions. And, of course, if you want some additional help and advice on creating a drought tolerant lawn, or help with fertilising, watering or spraying then the simplest solution is to let Fox Mowing look after it all for you. Grass isn’t just grass! There are thousands of varieties and sub species of grasses, all which are created and developed to grow according to different types of climates, soil conditions, watering habits, maintenance levels and general wear and tear requirements. Climate is your first consideration. This labelling can easily lead to confusion and to a wrong understanding of the growth habits of grass. You may think that they can only survive and be grown in their respective seasons such as “Cool Season” grasses in winter or “Warm Season” grasses in summer. This isn’t the case. The term “season” in this usage has nothing to do with the time of year the grass thrives in but instead the climate where the temperature is in the optimal range for growth throughout the year. Thus cool season grasses are those that grow best in cooler climates – generally with a lot of rainfall – and warm season varieties in warmer weather – generally with less rainfall. As Australia is such a hot and dry continent most varieties of cool season grasses are not a suitable or viable option for establishing a lawn. Cool season grasses grow and generate from seed only, and are not laid as a ready-made turf. The seed sprouts offshoots that thicken and grow forming a single plant with many shoots that in turn spread and join into neighbouring shoots. This thickening and spreading process is called “tillering” and is repeated millions of times over in order to form a lush lawn. It is increasingly uncommon to find a lawn that has been completely established by seed, as the failure rate is very high. Cool season grasses need up to 70% more water than warm season varieties and they are more susceptible to weeds, disease and pest attacks. So on the off chance and rare chance that you establish a purely seed-based lawn, it will be harder to keep healthy in the long-term and will most likely not survive in the hotter and drier climates that dominate the parts of Australia where most people live. For the most part, going with a warm season grass will better suit your needs and purposes. Cool season varieties however can be used to over-sow your current lawn in winter as a temporary lawn cover. This is a viable option if you are after a brighter green lawn during the colder months. Warm season grasses such as Couch or Buffalo tend to lose their colour in the winter, turning yellower or even grey. Please note though that such a strategy is temporary as the cool season grass that looks good in winter will probably die in the summer, by which time, hopefully your usual lawn will begin to take up the slack again. Warm season grasses are well suited to most climates throughout inhabited Australia, as they grow best in warmer, dryer weather – which is ultimately what we have in these regions most of the year round! On account their root structure warm season grasses can be laid as a ready-made turf, and when correctly laid establish well and seldom fail. They are a hardier, thicker range of grasses, with a drought-tolerant nature, requiring minimal watering or rainfall to maintain, stay healthy and keep them looking great. Warm season grasses have a plant structure that comprises two types of runners. Those that grow laterally along the ground are called “stolons” while underground runners are called “rhizomes”. Not all warm season grasses have both varieties of runners. Buffalo Grass, for example, only has Stolons, while Couch & Kikuyu have both stolons and rhizomes. Having two types of runners both above and belowground enable these grasses to grow and spread quickly and self-repair over damaged areas of coverage. This vigour can be a bit of a double-edged sword. The tendency of a grass to grow and spread with such vitality can lead them to become somewhat aggressive and ultimately invasive – growing over and under paving and spreading into garden beds. Since, in the majority of cases, you’ll be looking at warm season turf varieties, your choices come down to the nitty-gritty of choosing the species that is best suited to your specific needs and situation. These will include evaluating the following factors around your property and location. “Climate”, when referring to plant growth, refers to a large geographical area with an enduring, consistent and cyclic pattern of sunlight, heat and rainfall. The most widely used climate classification is the Köppen-Geiger system. Most of Australia is dominated by dry – arid and semi-arid climates, although the south-east of the continent – Tasmania, Victoria, “coastal” New South Wales and south-east Queensland have temperate / mesothermal climates while the top of the continent is tropical wet savannah. “Microclimate” refers to the specific conditions around a smaller area that might be somewhat different to the broader climatic region that surrounds it. Microclimates can be as small as the area of a suburb or even smaller. Your neighbour might have very different growing conditions to you and there might be considerable differences of microclimate even within your own garden. It’s the complexities of climate and making climate that dictate why laying a lawn down is not as simple as laying down carpet. 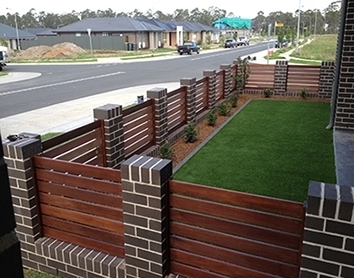 There might not be a “one grass fits all” solution to your lawn requirements. 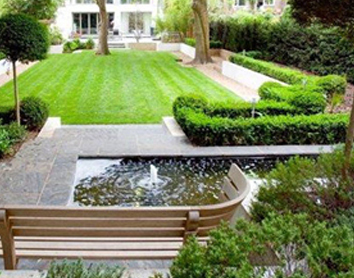 Nevertheless, the area in which you live in plays a major role in they type of grass that you choose for your garden. If your area is prone to hot weather and minimal rainfall throughout the year then you would best choose a variety of grass that is drought tolerant. Varieties such as Couch & Zaysia can handle heat and dry conditions well while other varieties such as Kikuyu have a much poorer tolerance, and should be considered for wetter climates. Having a drought tolerant grass will ensure your grass has a better chance of survival in tougher conditions. The closer the grass-type is to the climate it’s trying to grow in the less maintenance and upkeep it will need to keep it healthy. The location where the turf will be laid and the proportion of sun and shade that it is exposed to can play a big part in the performance of you lawn. If your garden gets full sun all day then you can choose most any variety – Couch, Buffalo and Kikuyu are all good in hot, dry conditions, although they do require constant sunlight. If however, your lawn will be shaded by trees, fences, hedges or any obstructions to light then you’ll need to consider using a shade tolerant grass such as Sir Walter Buffalo which flourishes just as well in full sun as in partial shade. Everyone uses their lawn differently. If your grass is more visually ornamental and it is not regularly walked or played on then wear-an-tear and traffic resistance will not play a big part in your lawn choice. However if you are always walking over a particular stretch of grass, or you have kids or pets your lawn will get a lot more traffic. You should then plan ahead so that “use” doesn’t become “abuse”. Choose a turf that can deal with the rough and tumble of everyday life so that you don’t have to returf later once your lawn has worn out through the increased activity. Depending where you live – especially if you in a coastal area – your soil might have a higher salt content. Not all grasses can tolerate salty soils, so you will need to ensure you have a turf that can deal with these conditions or you will find yourself constantly adding lime and other additives to the soil to compensate. This will take up your time and money and there is no guarantee that your lawn will survive and grow even with all your hard effort. Once again, suitable planting is the key. It’s a common thing to desire the perfect, emerald green lawn all year around -no matter what the season. Unfortunately during winter some grasses can go dormant and loose some of their greenery, taking on a brown, red tinge. This is often the case with Couch grasses. Other grasses are better at holding their own during winter and can retain most of their colour and health. A green lawn is good, but a lawn that actually feels good is even better! Grasses such as Sir Walter Buffalo, Nara Zoysia and Fescue are all soft-feeling grasses. If your lawn will have a lot of bare skin rolling around on it, than having a soft lawn would be the preferred option for your kids and might cut down on potential rashes too. Different grass types grow at differing speeds. Some grow and spread quickly while others take their time establishing and germinating even if they’re in their optimal conditions. The speed at which your grass grows will determine how often you have to mow, especially in the warmer months. Warm season grasses such as Couch, Zoysia can be mown to a lower height of around 12mm, while varieties of Buffalo and Kikuyu will require higher lawn mowing heights of 20 to 25mm. Couch or Kikuyu grasses have above and underground runners – stolons & rhizomes – that can cause a big problem as they can be overly invasive and spread throughout your property and into your garden beds. If this is a problem then you can choose varieties such as Zoysia and Buffalo. They grow slower so in turn will be less invasive because you have more time to deal with them. Tillering also plays its part in warm season turfs as it reduces the amount of runners while promoting the growth of leaves, thus helping the lawn to thicken and green up. You can encourage tillering by mowing more regularly. With regular mowing the grass plant puts more energy into growing new grass shoots instead of establishing new runners. This means the lawn will be less aggressive and spreading into places it shouldn’t. In general, the more suited your lawn is to your environment and soil conditions the better it will perform and the less time you will have to spend in maintaining it! To compare common grasses and their characteristics click here. Now you can spend some time examining your garden, doing the necessary further research and then sourcing a supplier of the right grass, or grasses and then finally arranging for the installation of the right grass for the right reason. Or, if you don’t have the time or the expertise to make the best choices then the simplest solution is to let Fox Mowing look into the right type of lawn for you. And while we’re there in your garden, improving your lawn, we can do a lot of other stuff too to get your garden looking, and feeling, its best. You might think that grass comes in only in the basic varieties of Buffalo, Kikuyu and Couch. However there are thousands of varieties and sub species of turf, all which have particular traits, strengths, weaknesses and growing requirements. We’ve taken the liberty of picking two favourite varieties that may not be widely known or recognised as viable choices for your average gardening and backyard needs, but they’re winners nonetheless. These are both battlers, with strong survival instincts and they can cope with the harsh Aussie conditions that are prevalent across much of our country. It may come as a surprise for you to realise that Australia doesn’t have many purely native turf grasses. You can count our Australian native grass choices on two fingers – Nara Native & Dryarna. Although Dryarna is a native grass it is not used as a lawn turf but purely for agricultural purposes. Its primary use is in drainage channels at it needs to be next to or in shallow water or mud most of the time to survive. Nevertheless, being a native Australian it’s also very drought tolerant. Although not an ideal turf grass for conventional lawns, Dryarna’s deep and complex root system makes it a great choice for erosion control near bodies of water. This only leaves Nara Native Zoysia Macrantha – as the only purely True Blue Aussie grass that is suitable for common use as a general-purpose lawn. You’ll find Nara throughout Australian backyards, parks and sporting fields. Nara is a new variety of the Zoysia turf family that was bred in Australia, for Australian conditions. It is a beautiful, fine textured grass that is often chosen for its looks alone, although it has many other excellent qualities that make it a standout lawn turf. Nara Native can be grown throughout all areas of Australia, but as a warm season grass is best suited to hotter climates. Nara is a very low maintenance lawn that is easy to mow and look after. If you can sometimes forget to water, fertilise or mow your lawns regularly, then Nara may be a good turf to consider as it can survive neglect and lack of care. Nara can be left unmowed for long periods of time and will not suffer any lasting effects. It will survive well with fewer mows than other varieties of lawn turf, needing 20% less mowing than Buffalo, 30% less than Couch & 45% less than Kikuyu. It will not thatch up or grow ugly or messy from being left alone. It will also not get out of control as it is a low aggressive and invasive turf so it won’t spread like mad across your paths and into your garden beds. Nara can be mowed exactly as you would with other turf varieties. If cut on the shorter side it will have less chance of scalping compared to varieties like Couch. But in hotter weather the general rule still applies – the longer the grass the better it will survive in drought conditions. Nara only seeds once a year in the springtime, so you will reduce your mowing by only having to cut off the new seed heads once a year, unlike other grasses that can seed every season. The grass requires only one application of fertiliser a year, however if it is under constant and heavy foot traffic we would recommend that you up the dosage to two-three light feeds a year – just to play it safe. Nara is a hardy and well-conditioned turf that is suited to cope with the harshness of the Australian environment. Nara’s root system comprises rhizomes that develop a strong root system that spread underground, sending nutrients and new shoots upward, competing well with weeds to help fill in any bare patches on the ground above. This root system makes Nara very drought tolerant. It survives both dry and humid climates with prolonged dry spells, and it retains most of its colour both in summer and during winter. Nara Native is a sun lover, but can also deal with partial shade of 50-55%, which is a lot more shade than Couch & Kikuyu – varieties that only survive in very minimal shaded areas. This native can also withstand a lot of general wear and tear so it’s good for areas that have high levels of foot traffic even though it’s soft-textured leaves are comfortable enough for bare feet. If you have salty soils, or live in coastal areas, this grass will be the perfect fit as it is very salt tolerant, although, where possible it is still best to water with fresh water. Nara is great at combatting weeds in your lawn and rarely gets diseases. It copes well with bugs and insects and can withstand black beetle, army & web worms better than other common varieties of grass. In colder temperatures it can occasionally develop rust on the leaves, but it hides this well among the thickness of the lawn. In most cases, Nara outperforms Couch & Kikuyu, and is on par and sometimes better than most common Buffalo grasses. With all this in mind we highly rate Nara Native as a hardy and tolerant Australian battler. If you want to support and grow a native garden, you can’t go past this variety. Our second grass that we recommend and that you might not be aware of is Sir Walter Buffalo. This, of course, is a strain of the common Buffalo but with added benefits and tweaks to its structure to help it better adapt and survive in a variety of environments. Sir Walter was first released back in 1997, and has quickly become the number one variety of Buffalo turf known for its soft leaf and hardwearing nature. Like Sir Walter, there are also many similar soft leaf Buffalos produced by a range of companies and turf farms such as Kings Pride, Matilda, Palmetto, ST 26 & 28 and Sapphire. Ned Kelly is one of the newer soft-leaf turfs available now. Sir Walter too is a warm season grass and grows at a steady pace, so it will have to be mown on a regular basis, particularly to keep it looking neat and healthy. As a rule, Buffalo grasses needs to be kept at a length from 30mm to 60mm with Sir Walter in particular requiring a length at the higher end of this scale. Although not highly invasive, if not watched, mowed and edged regularly its aggressive runners can spread and start to invade your garden beds and paths. Sir Walter has been specifically cultivated to self-repair. If any damage arises from wear or tear, dryness or heat Sir Walter can repair, re-establishing and spreading to cover open patches caused by poor growth. This will save you money and time as it will work at fixing itself so that you don’t have to worry about taking remedial action. For full instructions on how to mow and to find out how best to care for your lawn, go here. Sir Walter is best known for its toughness and its resilience to shade. Unlike other varieties of Buffalo and especially Couch & Kikuyu, Sir Walter is excellent in shaded areas and can cope well in areas with reduced sunlight and partial shade. Although Sir Walter is able to adapt and survive in shade, no lawn yet developed can remain healthy in full and constant shade. No matter how much care, water and fertiliser is applied grass needs light! If you’re dealing with a lot of shade then investing in paving or even AstroTurf will be a better choice for your circumstances. Sir Walter has been specifically grown to be drought tolerant. It’s able to survive in hot and dry conditions as its root system grows far into the soil, firmly establishing itself and drawing, nutrients and moisture from the deep layers of the soil – the subsoil. Along with being able to survive heat and dryness, Sir Walter is great at surviving frost and cold weather, and can maintain its green colour well through winter. If your lawn is healthy and fertilised regularly throughout the year, particularly in autumn, then your lawn should be able to retain its colour better and will be able to successfully defend itself from prolonged cold periods. Like Nara Native, Sir Walter is also salt tolerant, allowing it to grow in most environments and soil conditions around Australia. It also has good wear on high traffic lawns and has a good level of pest and disease tolerance. Sir Walter is an all-round great quality turf that retains acceptable colour all year with good drought, shade and wear and tear tolerance. We think this grass is a winner! Choosing the right grass, or even grasses, for your particular situation requires considerable research. It’s great to be as knowledgeable as possible about your options, but if you don’t have the time or the expertise to work out which grass is best and then learn how to look after it, the best solution is to let Fox Mowing choose and to look after your lawn for you. And while we’re there in your garden, we can do a lot of other stuff too to get your garden looking, and feeling, its best. Here’s a General guide of the characteristics of some of the most common grasses throughout Australia. You can spend some time examining your garden, doing the necessary further research and then sourcing a supplier of the right grass, or grasses and then finally arranging for the installation of the right grass for the right reason. Or, if you don’t have the time or the expertise to make the best choices then the simplest solution is to let Fox Mowing look into the right type of lawn for you. And while we’re there in your garden, improving your lawn, we can do a lot of other stuff too. Address any problems that your lawn or soil may presently have and understand why your last lawn didn’t thrive. This may mean that you have to do a PH Test on your soil to determine if your soil is lacking any necessary nutrients or has unbalanced levels that could be impacting upon grass growth. Once these issues are fixed you can then go on to check the drainage, and the shade in the area. When choosing a new lawn it is best to choose the grass that suits your environment. For more information on grass types click here. This will give the lawn a better chance at embedding itself and building strong root systems. Before getting started with laying your new lawn you will need to ensure that all of the old grass and weeds are removed from the soil before you lay the new turf. Otherwise grass and weeds will start growing up from underneath the new lawn and will starve the new shoots and hamper root growth. Aerate the ground to loosen up the compacted soil & and then level out the soil to spread it evenly and sloping in the desired direction. Lay out the turf in a staggered pattern – similar to brickwork as this will prevent drying out and soil erosion when it rains. Finally water in your new lawn thoroughly and try not to walk on the grass until it’s established. Following all these principles your new lawn should grow to be a healthy and established lawn in no time! And, of course, if you want help with planning & laying a new lawn, then the simplest solution is to let Fox Mowing look after it for you. And while we’re there in your garden, we can do a lot of other stuff too to get your garden looking, and feeling, its best.